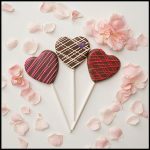 Send a little love letter in the mail this Valentine’s Day! 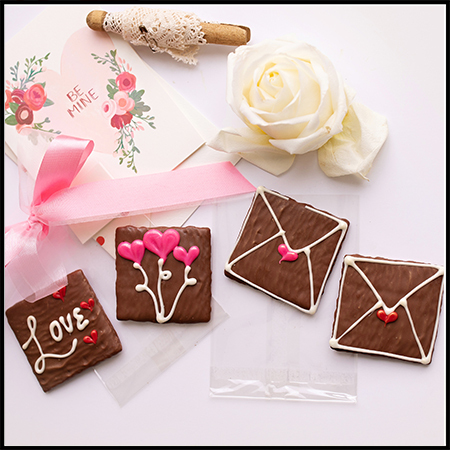 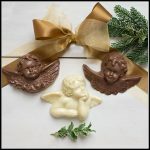 Our milk chocolate dipped graham crackers are hand-decorated with a love letter image and either a Love symbol or heart balloons. 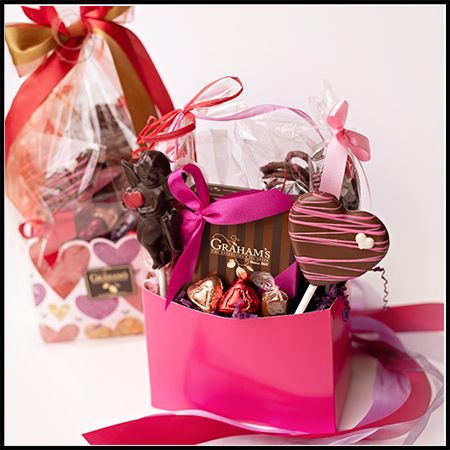 They come 2-per bag tied with a beautiful Valentine’s colored ribbon.